The Spanish shoe designed thinking about comfort and durability, tassel motif also give a touch of originality and distinction. By buying this product you can collect up to 590 loyalty points. Your cart will total 590 points that can be converted into a voucher of 4,72 €. Available in two colours that allow to combine them easily with any garment and on virtually all occasions. -Bordeaux, a soft touch of color very easy to match. Made of leather, worked from manually to achieve the characteristic brightness. Outside is entirely skin polished patent, hand sewn in a traditional way. They lack backing, so that you can appreciate the naturalness of the outer skin. The outsole is leather and is entirely stitched. It has non-slip rubber heel. As it is characteristic in the Castilians do not have template on the front and on the back has average template the same skin the exterior with the engraved logo of the brand. The toe is rounded to ensure comfort, even on wide feet. Their tassels, scalloped trim, define this shoe as an alternative much more provocative, original and distinguished. 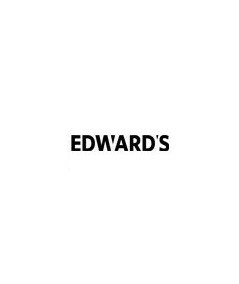 Designed and manufactured in Spain by Edward's brand. Spanish tassels shoe stands out above other castellanos to be bolder and differentiator, being also a stylish, functional and versatile option with the added value of originality. Dare and get yours! Comercio serio, atento y comprometido con el cliente. Buena atención y buena calidad. He comprado estos mocasines hace una semana y me han salido de muy buena calidad. Castellanos shoes are a style of classic and timeless footwear that is immune to the lifestyle. Do you know their origins? Los zapatos castellanos, son un tipo de zapato mocasín fabricados en piel florentic con un brillo característico que los hace inconfundibles. Se acerca el día del padre y para ello hemos hecho una selección de las mejores ideas. ¡Allá van! En los últimos años estamos asistiendo al renacer de un tipo de calzado masculino: los castellanos; desde que en los años ochenta se convirtieran en una autentica moda de masas, han pasado por épocas de mayor y menor presencia en los armarios masculinos, incluso se los ha llegado a asociar como un tipo de zapato solo para hombres de edad madura. Seguimos brindando ideas para acertar con los regalos de navidad, en esta ocasión nos centramos en ideas para nuestros chicos. Contrary to what many people think, the origin of the famous zapatos castellanos is not in Spain. The first models that looked like these popular shoes, were manufactured in Norway. Towards 1908 a small factory began to market moccasins inspired by the footwear worn by Native American Indians. But it was during the interwar period when this type of loafers reached greater popularity in the USA and around 1936 an American manufacturer launched the first model really comparable to the zapatos castellanos de antifaz, popularly known as penny loafer, or beef roll loafers due to the peculiar seams that have on both sides of the instep, which bear a certain resemblance to two rolls of meat. The popularity achieved by this type of moccasins in the United States led to the creation of the moccasins that have now given rise to a small repair shop located in the Madrid street Hermosilla and run by Fernando Castellano, who made custom-made boots and shoes. type of footwear that we know as zapatos castellanos. But it was not until the arrival of the second generation of the Castellano family, in the 60s, when Lorenzo, Gloria and Fernando took over the workshop, when they became popular among Madrid men and the term of Castellano was coined to refer to these moccasins, appealing to the last name of the family that ran the workshop. In those first years the shoes made custom-made and by order, arriving to have to wait up to 3 months to get them. During the 70s, the moccasin model with fringes and tassels of zapatos castellanos became famous among the young people of Madrid and that is when the "zapatos de Castellano" began to have national fame. But the production of the small workshop was very scarce for the great demand that existed, reason why from the middle of years 80 arose marks that began to produce greater quantities of this type of loafers shoes. Some of the brands that were born at that time continue today, such as Castellano año 1920, Martinelli and Edward's Shoes, as well as the heirs of the small workshop on Hermosilla street: Lorenzo Márquez and Gloria Castellano. Together with other brands, without the same recognition, but with a quality comparable to the zapatos castellanos of the best brands. In CalzadosRosi.com we have our brand Rosi desde 1982 zapatos Artesanos Castellanos, which gathers all the experience of skilled artisans in the manufacture of loafers to get some cheap shoes but excellent quality.